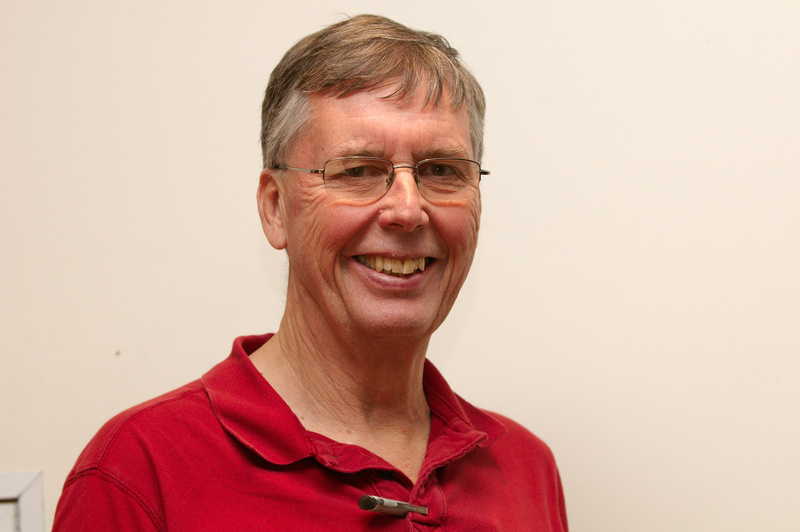 Mike Stonebraker’s Formula for Making a Difference While Taming Big Data | What's The Big Data? If Michael Stonebraker had a coat of arms, it would have “Make it Happen” as a motto and “Make a Difference” as a slogan (or battle cry), arranged above and below a three-dimensional web of ones and zeros. For more than four decades, Stonebraker has been engaged in a battle to tame the digital data explosion and turn it into knowledge. Along the way, he has started 9 companies and made an indelible mark on academic research in the fields of databases and data management, serving as a member of the computer science faculty first at UC Berkeley and, since 2001, at MIT. Turing Award winners deliver a lecture, typically a survey of their computer science specialty or a highly technical discussion of the innovative ideas behind their academic work. But Stonebraker wanted to do something “really outside the box,” he told me on the sidelines of the 9th Annual MIT Chief Data Officer & Information Quality Symposium (MIT CDOIQ). Adversity can lead to resilience, but Stonebraker probably also shares with other entrepreneurs a certain personality feature, a drive to “make a difference” in the real world, and to prove (mostly to himself, I think) that he is right. “The ultimate arbiter of good ideas is the commercial marketplace,” he says. Once a new idea emerges from these discussions, people outside of the commercial marketplace can also help. “Bouncing ideas off of smart and critical people,” has been important for Stonebraker and probably explains why he stayed in academia all these years. The data explosion over the last forty years has given Stonebraker many opportunities to apply this formula, always going through all the above steps (but not necessarily in the same order), sometimes trying to tackle the same persistent problem again when his previous solutions failed. He rightly dismisses big data as “a marketing buzzword,” but his entire career has been driven by the data tsunami (to use a marketing cliché) and the increasingly diverse needs of “real people” to tame the data and make it work for them. The marketing buzzword that started the big data avalanche, in my opinion, was “data warehouse.” Just like “big data” today, it reflected a new attitude by business executives towards computer-generated data. All of a sudden, it became imperative to keep data in storage for a longer time (instead of deleting it) and to mine the data for new business insights. The culprit was not only Moore’s Law (today’s “Cloud Computing” was the 1990s “Client/Server Computing”), reducing the cost of storing and processing data, but also competitive pressures that drove enterprises to start looking at “business data processing” as a potential input to any type of business decision (e.g., what can we offer a specific segment of our customers), not just decisions that were accounting-related (e.g., how did the business do last month). What started in specific industries has spread, within a decade, to all sectors of the economy: “Since 2000, basically the entire world has realized that their data management problem is the same as the business data processing problem. It’s gratifying that the rest of the world has a data management problem which is roughly the same as the one we have always been working on,” says Stonebraker. He was already working on the first example of such special-purpose database, launching Vertica in 2005 (acquired by HP in 2011) to make data warehouses work faster, taming larger quantities of data by organizing it in columns rather than rows, as in traditional databases. “Today’s legacy database vendors are all the same and their software is good for nothing,” said Stonebraker in his Turing lecture, arguing, as he has done for over a decade, that “one size fits none.” When everybody started talking about “big data” in the late 2000s, he was ready to define its future with three ideas, three research projects, and three startups. The first was a solution to what Stonebraker calls “Big Velocity” or “drinking from a firehose.” Those trying to drink are the increasing number of enterprises coping with data arriving at very high speed (e.g., Wall Street market feeds). This became his next startup, VoltDB, launched in 2009. This future of big data is all about exploiting the rapidly decreasing cost of computer memory, keeping the data there to be available at much greater speeds than when it is fetched from a disk drive. Another problem Stonebraker and his collaborators are trying to solve is what he calls “big analytics on big volumes of data.” The growing need and desire for running complex analytics on the growing volumes of data lead to an “array database” solution that supports sophisticated statistical procedures that cannot be performed efficiently with the table-based, traditional databases. The resultant startup, Paradigm4, was launched in 2010. This future of big data is all about replacing business intelligence with data science and business analysts with data scientists. The example Stonebraker uses to illustrate this prediction is the retail business analyst producing a report on what sold a week before and the week after a snow storm. The retail data scientist, in contrast, comes up with a predictive model, telling business executives what to expect under different weather conditions. The third future of big data is data integration, or the “Big Variety” problem, what Stonebraker likes to call “the 800-pound gorilla in the corner.” The problem dates back to the emergence of data warehouses in the 1990s and the need to “clean” and integrate the data coming from a number of data sources, making sure it conforms to a global data dictionary (e.g., “salary” in one data source is a synonym for “wages” in another). The process of data integration invented then, Extract-Transform-Load (ETL), is still used today. But it doesn’t scale, argues Stonebraker, failing when you try to integrate data from thousands of data sources, increasingly a “business as usual” reality for many enterprises trying to tap the abundance of public sources now available on the Web, to say nothing of what’s to come with the emergence of the Internet of Things and the yet-to-emerge new-data-generating technology. “The trouble with doing global upfront data models is that no one has figured out how to make them work,” says Stonebraker. “The only thing you can do is put the data together after the fact.” The solution is a mix of automated machine learning and the crowdsourcing of domain experts and the resultant startup, Tamr, was launched in 2013. This future of big data is all about preserving “data silos,” the bane of business and what we have been told for the last forty years that we must abolish in order for the business to thrive (full disclosure: I’ve made some modest contributions to this mantra over the last twenty years). Stonebraker and his collaborators came up with a way to mask the data silos, super-imposing on them a layer of software that adapts to the constantly changing semantic environment of the organization, based on a human-computer collaborative process. Indeed. Also the resilience to make it happen and the passion for making a difference. This entry was posted in Big Data Analytics, Big data market, startups and tagged stonebraker, turing award. Bookmark the permalink.